Shinrin-Yoku is natures therapy. This Japanese word translates to “taking in the forest atmosphere” or “forest bathing.” Join us for a day of retreat to explore all the Grand River has to offer. 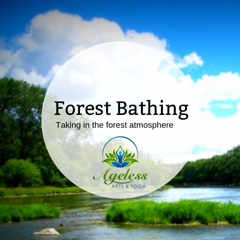 Soak in the nature around you as you flow down the river, breathing in the water, earth & sky. Gratify your longing for a meaningful connection to nature as you explore kayaking & forest bathing along the beauty of the Grand River. Includes kayaks, paddles, life jackets, safety kits, dry bags, River and Forest Bathing Guide. Also included is a shuttle upstream where we will enter the river with our kayaks. Our vehicles are parked, ready for us at the end of our journey. Join Grand River Yoga & Friends on the Fly as you explore the synchronicity of Yoga & Fly Fishing. Upon arriving, we will park our cars and meet for a gentle walk to the river’s edge where we will learn a few Forest Bathing techniques to layer in throughout our day. At 10 am will be shuttled to our kayaks at the top of the river (Glen Morris). Once we arrive, we will connect with the water (yes your feet will get wet) and ensure everyone is comfortable in their kayaks. Along the river, we will take the time to stop for gentle hikes & swims as well as breaks to enjoy snacks, food and water. To stay in the present moment, we are not including a program “end time” and request no cell phones or electronics. We estimate the experience to be approximately 3-5 hours in length. We will have someone taking digital photos as a keepsake. Spaces are limited to keep the experience intimate – book now. This joyful immersion in the sun, water, and inner and outer peace offers a fresh, mindful approach to kayaking & forest bathing and is designed to be inclusive and relaxing. Experience paddling is advised if joining us for this adventure as there are some rapids along our journey. We recommend beginners build their confidence in kayaks by joining us for our Kayaking, Yoga & Meditation retreat first. Upon registration, we will forward you a waiver to sign & a list of what to bring.